Contemporary lighting around buildings must not only provide safe orientation in darkness but is also a decisive factor in design that impacts the external effect of the building. Solutions are required that facilitate very different demands with facade and path lighting to be implemented in a uniform language of design. 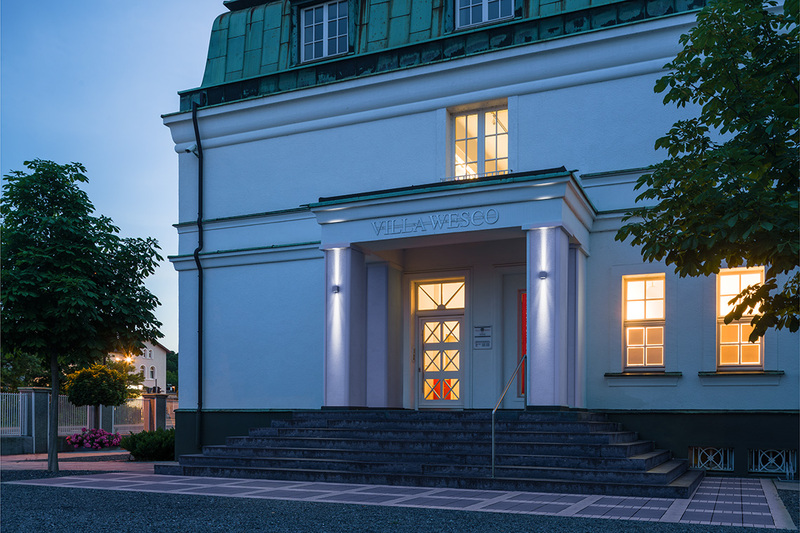 During the day the design inspires, and at night it scores points with light – the Skeo Q LED range includes square wall and ceiling luminaires, projectors and bollard luminaires. During daylight the purist, modern shape blends harmoniously into its surroundings and provides attractive accents. At night the flexible family of luminaires displays paths and facades using high quality, energy-efficient light adapted perfectly to the framework conditions. With the Skeo Q LED luminaire range, the complete area of light around buildings can be illuminated in a uniformly modern design. 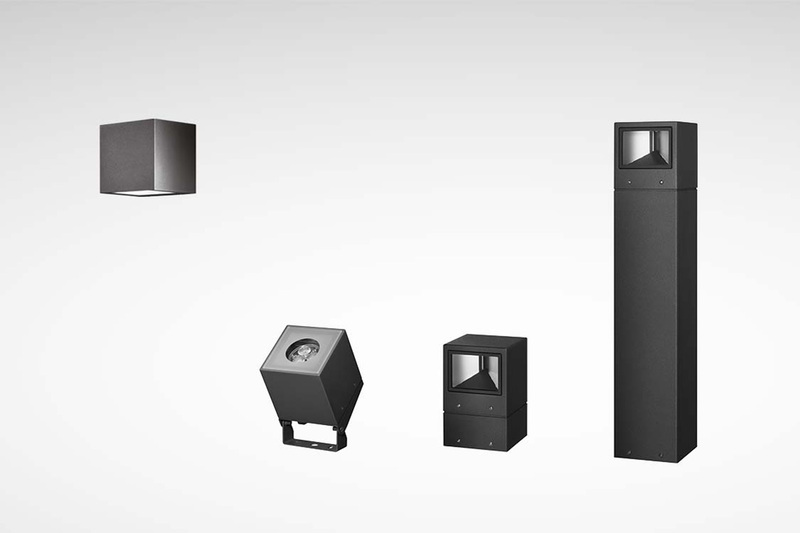 The portfolio consists of wall and ceiling luminaires, bollard luminaires and projectors that, in terms of lighting technology and appearances, can be ideally modified to the individual framework conditions. This not only creates perfect visual conditions, orientation and safety everywhere but provides new options for the atmospheric and uniform showcasing of sophisticated architecture. 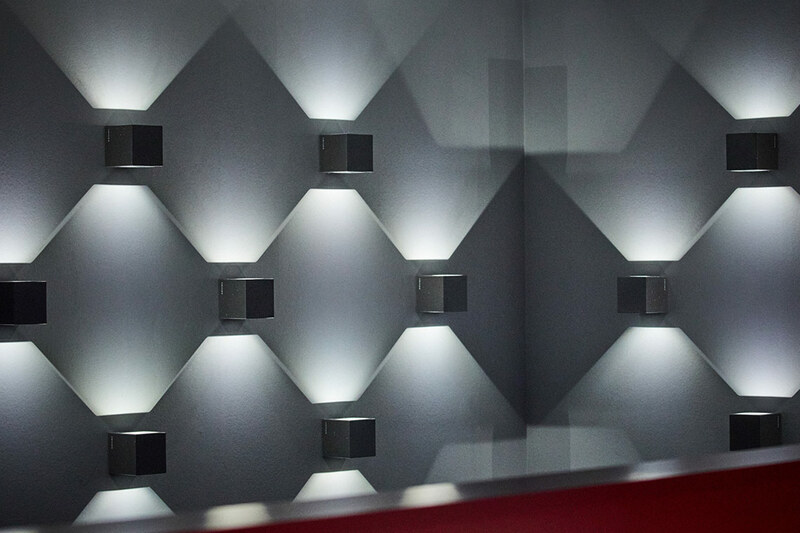 Greater flexibility isn't possible: the square Skeo Q LED wall luminaire is optionally available with either one or two light emission apertures – for the specific use of the direct and indirect light component. Also, different beam angles, lumen packages and light colours are available for both beam directions. This facilitates custom light accents upwards and downwards along the wall or facade. Skeo Q LED as a wall and ceiling luminaire is also available in two construction sizes, and thanks to its IP65 protection rating ideally withstands adverse weather conditions. Designing architectural settings also includes areas near to buildings, e.g. pedestrian paths through green areas or from the car park to the building. 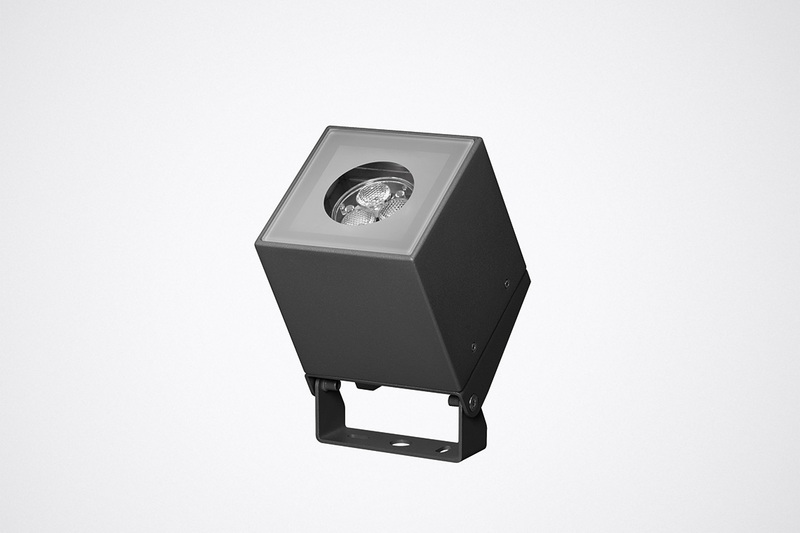 These are ideally illuminated and displayed with Skeo Q LED bollard luminaires. The square cross-section typical for the Skeo Q LED series achieves a consistently uniform and high quality appearance above and beyond the borders of the building. 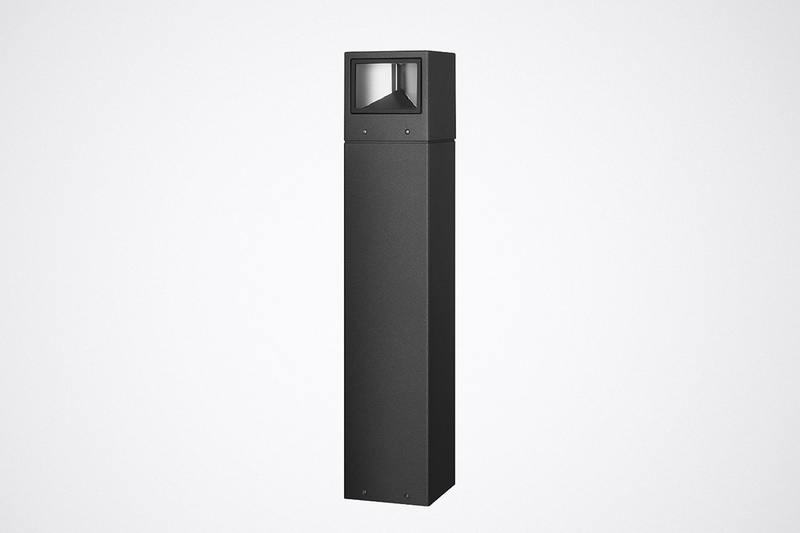 The bollard luminaire is available in three sizes. Of course in the unmistakable square Skeo Q LED family design: the tiltable Skeo Q LED projectors not only illuminate signs with high attention and without glare but ideally display architectural details, walls or complete buildings. Various beam characteristics provide high flexibility in terms of planning and lighting design. The Skeo Q LED range of luminaires scores points with very high quality of materials and high-quality workmanship. These characteristics make for easier handling during mounting so that installing the luminaires is quick and convenient. Thanks to their excellent quality of materials and workmanship, Skeo Q LED luminaires are especially durable and robust and also score points with continuously low maintenance complexity. The housing and ceiling mounting plate are of high quality die-cast aluminium, and the cover is of hardened highly transparent or frosted glass with optimum transmission properties. Whether for supermarkets, office buildings or schools – outdoor lighting around the building is elementary for providing safety and orientation to employees, customers and visitors. With Skeo Q LED, operators are given a range of luminaires mastering these demands with confidence thanks to excellent lighting technology – for applications ranging from entrance areas to facades and paths. Thanks to their linear design the luminaires blend ideally into the building surroundings – and provide attractive accents. 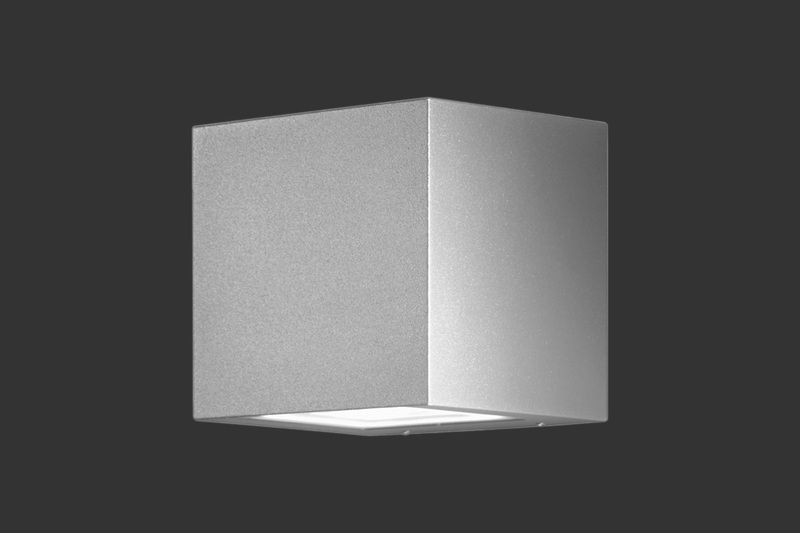 A functional luminaire family facilitates the complete application of light around buildings to be illuminated in a uniform design. Skeo Q LED also withstand rough weather conditions thanks to the high quality luminaire housing of die-cast aluminium with IP65 protection rating.